The Town of Cobourg is a lakeside community (population 18,500) located on the north shore of Lake Ontario halfway between Toronto and Kingston. Cobourg has been recognized multiple times by MoneySense Magazine as "One of Canada's Best Places to Live" in populations under 25,000. The Town of Cobourg’s vision is to be a progressive, vibrant lakeside community that honours the past and embraces the future. One of Council’s strategic objectives was to better the way in which the Town communicates with its publics by improving the Town’s website. This objective was integral to the development of their online communications strategy. Working with eSolutionsGroup, the Town engaged in a SWATR (Strengths, Weaknesses, Assets/Opportunities, and Threats) to identify what was working well, opportunities for improvement and key priorities. They engaged the public (seniors, the business community, tourism organizations and other stakeholders) through focus groups and discussions. The results of these sessions highlighted the need for more transparent, timely, two-way interactions with the Town. Having relevant web content that mattered most to these audiences was a priority so they took the time to revisit, revise and develop content to answer frequently asked questions. Large green “call to action” buttons on the homepage (Apply, Pay, Learn, Report and Visit) help site visitors find what they need quickly. The new online content meets rigorous accessibility (AODA) and Search Engine Optimization standards. Several technologies on the new website encourage dialogue between the Town and residents and businesses, and help Town staff disseminate news, notices and events information efficiently. This includes a news and notices banner; integrated Facebook, Twitter and YouTube feeds; online polls and surveys; feedback forms; e-newsletter subscriptions; and the ability to subscribe to any content page on the site for updates. Visitors can subscribe to 17 different events calendars (from library youth programs to the Town’s charity/fundraising events) tailoring the content to their interests. Clicking on “Locate a Facility” reveals the Town’s recreational sites in a clean menu by category, such as arenas, sports fields and pools for one-click access. All website content is available in 100+ languages, thanks to Google Translate, to reach more of the Town’s population. Content can also be marketed by the use of flipbooks (ebooks) that provide a visually appealing way in which the consumer can view online content. 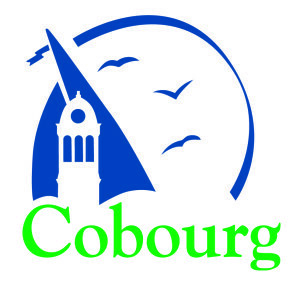 The Town also engaged other community businesses such as the Cobourg Public Library and the Downtown Business Improvement Area to join the Town website with the creation of their own unique landing pages, further fostering relationships and embracing a larger community. These seven unique landing pages highlight unique services such as the Cobourg Fire Department, Economic Development, Cobourg Community Centre and the Cobourg Marina. With the searchable business directory, website visitors can search and locate local businesses using Google Maps. Businesses register to maintain their own profiles and promotions, freeing up the Town’s resources. Using a central contacts module, the Town’s contact details for different departments and services appear on appropriate pages throughout the site. Town staff can easily update different “calls to action” on the website through a content calendar, proactively promoting events and scheduling them to appear/come down as required. The Town also redesigned their news centre with the creation of an online portal meant to engage and inform citizens further. Citizens can sign up for instant news notifications, public notices, road closure notices, weather alerts, transit updates and much more all with the click of a button!